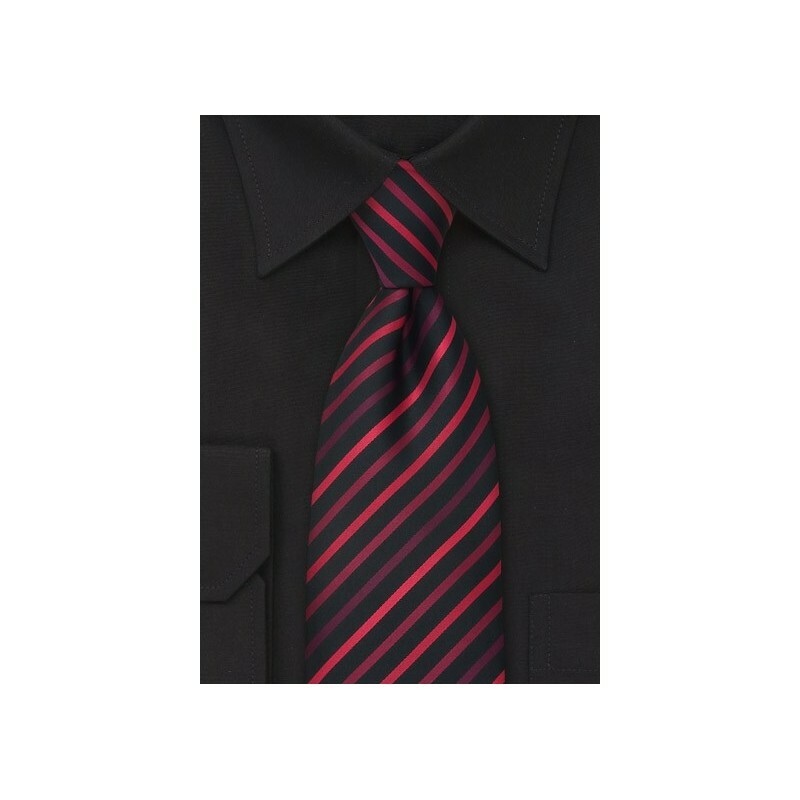 This black and red striped tie is made in XL length for any man over 6 foot 3 inches. The three different shades of red are combined with a modern narrow striped design and set a nice contrast to the classy black background. 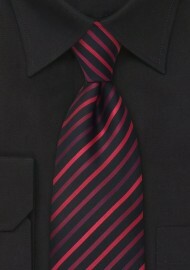 To match this tie we suggest shirts in either black or white. The best suit colors fall in the gray to black range. Please note that this is an XL length tie. For normal height men we also carry this tie in normal length. Made from care-free microfiber by Puccini.